Critics hail Diane Johnson as a cross between Jane Austen and Henry James. In this best-selling comedy of Americans abroad and Parisians at home, she celebrates the mores and manners of contemporary marriage. Struggling American writer Tim Nolinger pursues his journalism career in Paris while proper Frenchwoman Anne Sophie plans their wedding. When Tim covers the theft of a valuable manuscript, the story leads the couple to the local home of a reclusive American film director and his actress wife. Once there, Tim and Anne Sophie find themselves in the midst of a murder investigation, a French-American feud, and a reckless love affair that threatens to destroy their marriage even before it begins. 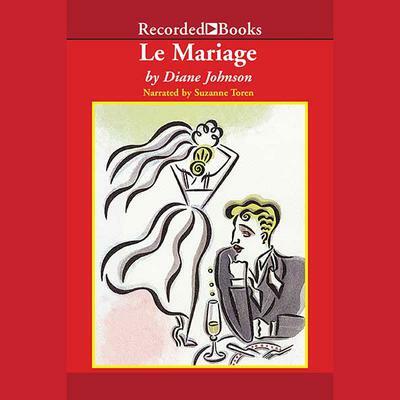 Diane Johnson weaves acerbic humor and refreshing observations into this thoroughly modern tale of love and marriage. With her dramatic performance, Suzanne Toren brings out the moral complexities that shimmer just beneath the surface.